Wintertime is for cozying up. This season, when you head to Netflix to cue up a movie, why not pick something that was filmed right here in the Hudson Valley? Since the Hudson Valley Film Commission began its work in 2000, some 500 independent films have been made at over 1,500 locations throughout the Mid-Hudson Valley. With architecture ranging from drab modern municipal buildings to historic Federal mansions; a blend of small cities, port towns, and quaint Smalltown Main Streets; wealth and squalor; order and chaos; and always, not far off, the lush American pastoral—the region offers filmmakers a vast visual vocabulary to sketch their visions. As location scout Jillian Fisher says, “Hudson Valley can be anywhere.” In 2012, Governor Cuomo increased the post-production film tax credit for upstate New York from 10% to 35%, to further incentivize the local film industry. Now, camera crews and and taped-off streets are a fairly regular occurrence. And while it may be a wee pain in the neck to detour around a shoot, it’s an economic boost to the region, bringing $26,788,000 in direct spending to local towns and businesses in 2018 alone. And it’s fun. Not everyone gets to see their hometown on screen, after all—and ours work really well, evoking everything from post-apocalyptic horror to stately elegance to romantic bliss in a director’s capable hands. We rounded up 10 Hudson Valley-made films, some you’ve heard of and others lesser-known, all of them available for streaming for less than a soda and a candy bar would cost at the multiplex. So grab a blanket (and a buddy—many of these are thrillers! ), and settle in to spot the local landmarks. The Seagull (2018) used Arrow Park in Monroe as the backdrop for a family period piece based on the Chekov play by the same name. The dramatic comedy stars Annette Bening as an aging Russian diva visiting her brother’s place, where the innocent country wench next door starts crushing on her novelist lover, just part of a developing web of of unrequited love and manipulation. The Miseducation of Cameron Post (2018) won the 2018 U.S. Grand Jury Prize at the Sundance Film Festival for its superb portrayal of three teens helping each other survive the grim nonsensical drek being forced upon them at a gay “conversion” camp in 1993, where Cameron is sent after being caught in the backseat with her cheerleader crush. The camp is played by Riedlbauer’s Resort in Round Top, Greene County, a very pleasant place in real life. 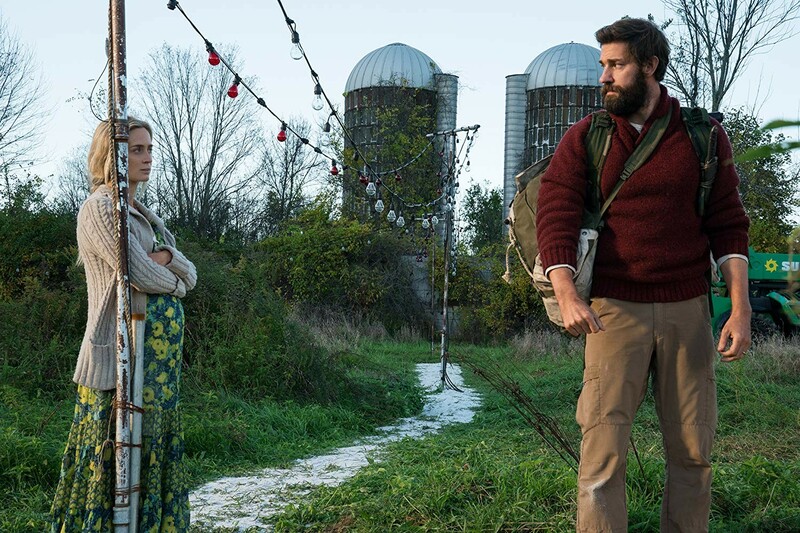 Nail-biting blockbuster horror film A Quiet Place (2018) was filmed at multiple locations in Ulster County including the Wallkill Valley rail trail and the iconic Spring Town trestle. In this post-apocalyptic thriller, Emily Blunt and John Krasinski must keep their family safe (and silent) from terrifying creatures who attack at the smallest sound. ("If they hear you, they will hunt you," warns the trailer.) This haunting movie will have you on the edge of your seat—all the more because of the familiarity of the setting. Some critics are even speculating A Quiet Place might land an Oscar nomination for Best Picture. Super Dark Times (2017) is a wildly unsettling psychological thriller. Following a string of poor decision making and a tragic accident, the lives of two teenage boys spin into a horrific whirlwind of violence and terror. The film won high praise for its nuanced portrayal of high school life. And Kingston in autumn, brilliantly deployed, becomes an upstate Anytown rife with beauty, squalor, and menace. The Strange Ones (2017) is an enigmatic road trip thriller in which a man and a boy, claiming to be brothers, travel cross-country headed...somewhere. Their destination is unclear at first, as is their exact motive,and the particulars of what is going on between them. It’s the kind of movie that disturbs you early and leaves you that way. The Hudson Valley provided the perfect back roads, blue highways, and down-at-the-heels motel. Growing Up Smith (2015), filmed in Kingston, centers on an Indian family who moves to small-town America circa 1979. Ten-year-old Smith falls hard and fast for Star Wars, “Saturday Night Fever,” and the girl next door, terrifying his more traditional parents who hope for him to assimilate but not too much. Growing Up Smith is a heartfelt and charming take on coming of age with a foot in two cultures. Set in Texas, Cold In July (2014) was actually filmed around Kingston, Esopus, Woodstock and other local spots. It’s a taut, fraught crime and corruption thriller based on the novel by Joe R. Lansdale. A man is shaken by killing an intruder, and at first fears the intruder’s ex-con father. Turns out the guy he’d thought he killed is still alive, and so evil his own father decides that’s not a good thing. Producer Eddie Mullens used his own One Mile Gallery in Kingston’s Rondout district, and the homes of people he knew among the 40 separate locations for his first feature film, the comic Doomsdays, in which two ne’er-do-well vagabonds journey from one Catskills vacation house to the next, practicing for the Apocalypse they’re sure is impending by looting and trashing everything they can reach.